Today, we are introducing an item with high efficiency at a cheap price. The Graphene Times Neck Warmer features one of the newest high-tech materials on the market. Graphene is a carbon atom film that is lightweight and thin, a nano-material. It is very tough and hard and can be used in a wide range of electronics products. The graphene heating element in the neck warmer uses far infrared and is an electromagnetic wave, invisible to the human eye. This heating element is powered in the neck warmer by 5 volts DC via USB cable. While graphene is tough, it is also thin and flexible. This proves to be handy in the case of the curvature of the neck. Wearing this neck warmer is no problem and is adjustable because it uses Velcro. The Graphene Times Neck Warmer is a great accessory to have during the cold winter, to kick back and game with. You can sit back and allow a comfortable level of heat to your neck which provides better circulation and relax, great for hard workers, students and those who have computer neck. It is safe to use and keeps you comfortable. The far-infrared wavelength emitted by graphene heating film is close to human body’s wavelength. It is perfect for physical therapy and can soothe the symptoms of a stiff and sore neck. There are 3 modes of temperature ranged from 100.4°F to 113°F. The temperature can be adjusted to your preferred level quickly and uniformly. An ideal companion for working, studying or traveling. Just simply plug the power-saving USB cord to power bank, PC or USB adapter to power up it. You can enjoy a heated neck therapy to relieve your pain in the spine no matter you are in the office or traveling. 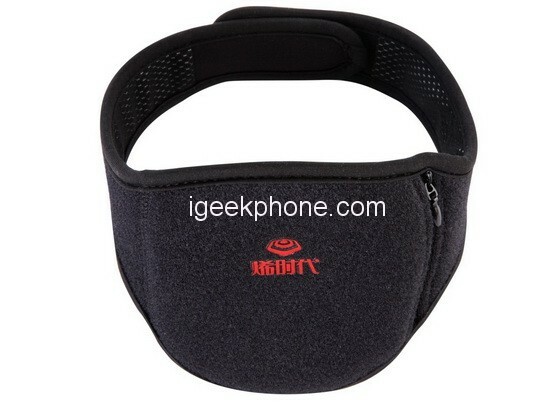 The ergonomic design of this heated neck brace will support your neck without awkward positioning and any discomfort. Our heating neck support can prevent your head to lean left, right or to fall forward. This automatic shut-off function makes it safe to use so that you do not need to worry about long-time heating. It is set to work for 1 HOUR EACH TIME. Low driving voltage is required for powering up this heated neck support and it can be heated without causing electromagnetic radiation. How to use it and wash it? The main body is very simple and it is only this. 1. Just connect the cable to the metal part on the right side of the band and connect the USB power supply. It can be used with a PC or a USB charger, if you think about usability, it will be a mobile battery choice. 2. Opening the part where the chuck exists, the cable and the connection terminal come out so that you can wash it out of the cable. Because this neckband itself touches the skin directly, so washing is a merit. With this graphene neck wrap, it is good to be able to use it while sleeping. It is automatically disconnected in 60 minutes, but it was the best if possible with a timer around 15 or 30 minutes if possible, the effect is also very good. We would like to recommend you for graphene neck wrap. It makes use of graphene and provides a safe way to keep warm and help with circulation while stationary. You can purchase this product for $33.99 with free shipping at Amazon.com.